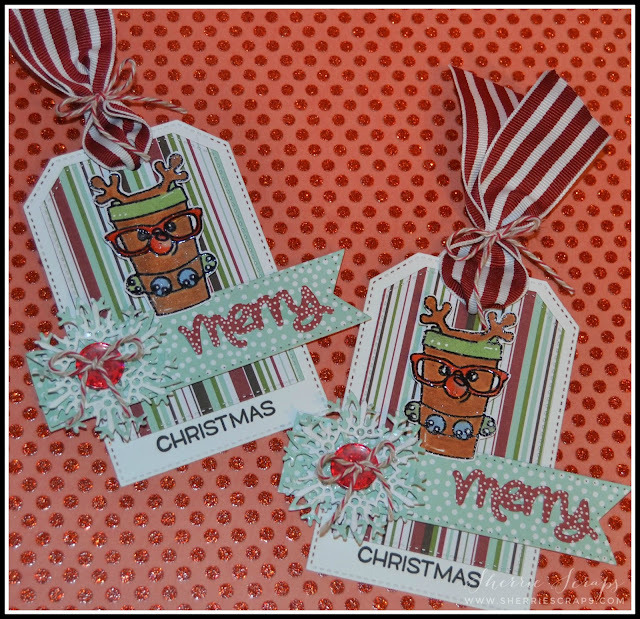 Today, I have a couple of cute little tags I made to dress up a Christmas gift package. I used the Tutti Designs Stitched Nesting Tags Die for the tags. 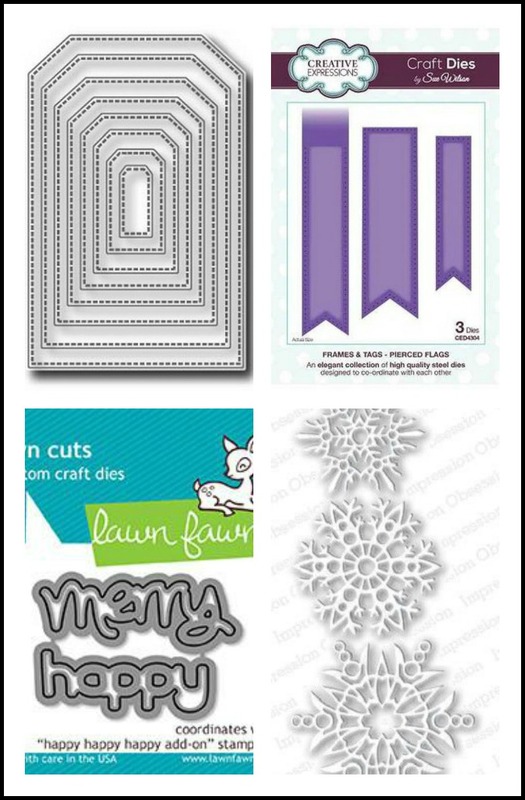 The pattern paper is American Crafts~Jolly collection. 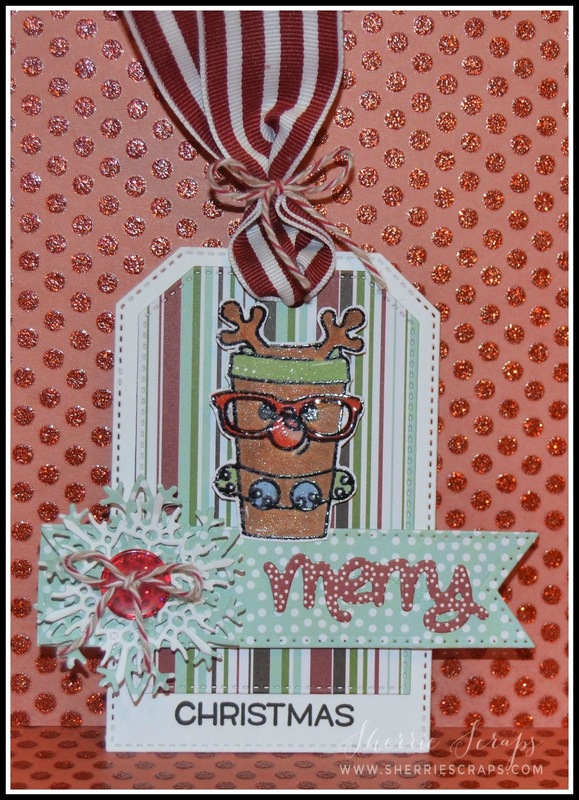 The stamped the sweet reindeer coffee mug with Jaded Blossoms A latte comfort and Joy stamp set and colored it with copics and Nuvo Glitter Gloss for sparkle. The flag is Sue Wilson Designs Pierced Flags Die. The Merry die and sentiment is Lawn Fawn Happy, Happy, Happy Add On Die and stamp set. The snowflakes are Impression Obsession Snowflake Die. I finished with some fun ribbon and all set to go on my package. These are just a scute as can be Sherrie! What a great way to dress up any package. Love that stamp too. 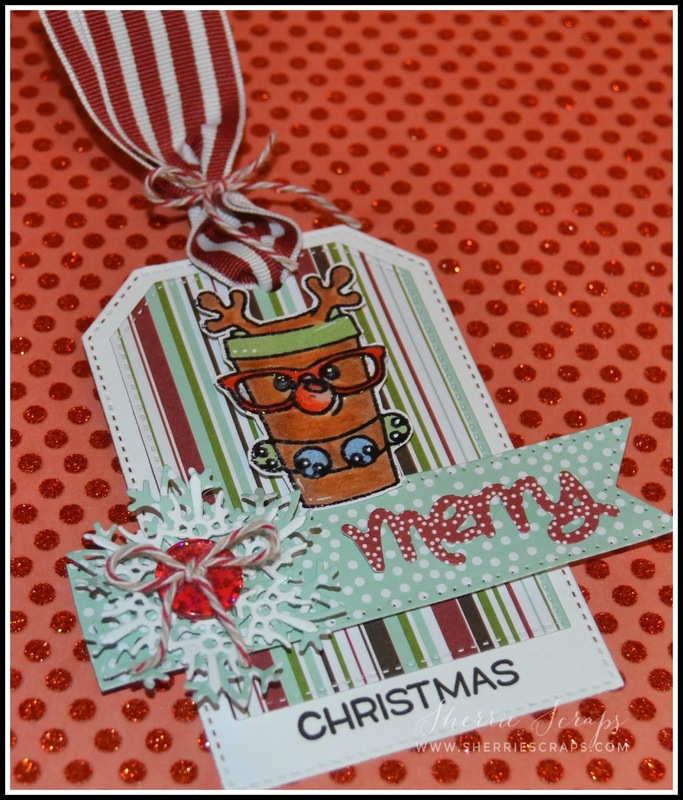 Super CUTE Tags Sherrie! I'm jealous you got that JB Stamp Set! It's ADORABLE and on my wish list! hahaha Hope you have a wonderful Day! Oh my goodness, they are so absolutely adorable, Sherrie!! Those reindeer mugs are too cute!! Totally make me smile!! 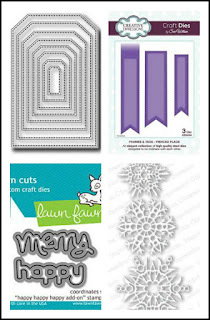 The details you added -- the button over the snowflake, the striped ribbon, the pretty papers -- they are all so fabulous!! Love, love these, my friend!! Oh my cuteness!! Those tags are absolutely adorable and sweet!! Adorable tags! Those mugs are way too cute! I love the gorgeous papers too! OMYGOSH!!! Soooooooooooo cute!!!!! I love them!!!!!!!!!!! Super cute tags my friend!! Oh how cute! Love that little reindeer coffee mug. Super cute tags. These tags are so adorable! They have totally made my day and made me smile! I've enjoyed my short time on your blog this morning! I hope you have a wonderful weekend! Big hugs!